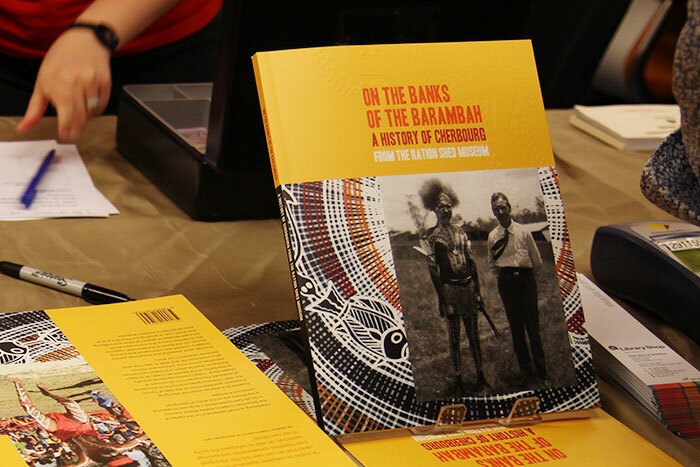 This 96-page book gives a voice to the Cherbourg community by retelling the people’s decades-long history of severe hardship and suffering, how they survived and are now flourishing as a small town in modern Australia. 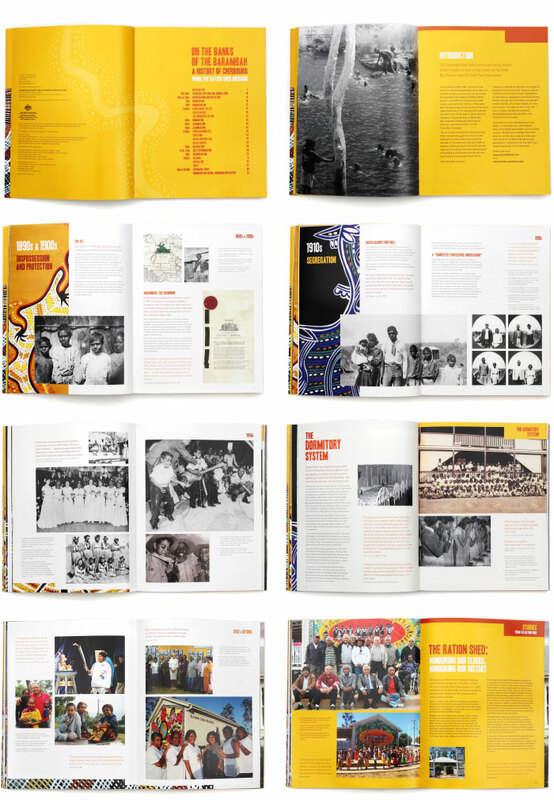 The book was designed with a flexible grid to work with a diverse range of content formats: informative text; personal recollections; colour and black-and-white photos; portrait and landscape. Woven throughout the publication are colourful paintings by local artist Robert ‘Rocko’ Langton; created specifically for this project. I can strongly recommend Liesbeth’s client interaction, creativity and professionalism in all aspects of graphic design work. She has a very good understanding of museums and galleries and is a pleasure to work with.